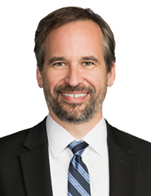 Matthew J. Thomas has more than 20 years of experience in international trade, transport and maritime regulation, and government affairs, representing leading energy and commodities companies, shipowners, governments, insurers, investors, ports, shipyards, and marine terminal operators. He is currently co-chair of the Firm's Maritime Industry Team. Matt works extensively in the areas of trade sanctions (OFAC/AML) and export controls. He represents clients around the world on compliance and investigations in connection with sanctions on Iran, Syria, Sudan, and other targets; guides leading energy firms through the implementation of U.S. sanctions on Russia; and, counsels companies in connection with the gradual opening of the Cuban market. He has investigated numerous cases of smuggling and money laundering in the commodities and shipping sector. Prior to joining Blank Rome he served as the Assistant General Counsel for International Affairs at the Federal Maritime Commission, and has extensive experience in global container carrier and marine terminal issues.